As you plan your trip to the Bruce Peninsula, you’re probably wondering just what you need to bring with you and what you’ll find here. As wild and remote as it may seem, you’ll be happy to know that you’ll find most modern conveniences alongside the peninsula’s stunning beaches, sprawling old growth forests and vast, open spaces. As you explore deeper, you’ll discover dozens of hotels, bed and breakfasts, cottage rental communities, campgrounds and more. Ideally, you’ll book your accommodations in advance, as this is a popular place to be in peak season. Begin your search on the our ‘Where to Stay’ page. 1. Your Camera, GoPro, Smartphone, etc. Dramatic, jagged escarpment cliff walls, stunning Lake Huron sunsets and picturesque cottages set against the ultramarine depths of Georgian Bay make the Bruce Peninsula a landscape photographer’s dream. Look closer and watch your step! Colourful orchids and wildflowers, hundreds of species of birds, and ancient fossils--remnants of the coral reef that lay here 400 million years ago--all beg for your lens and attention. If all you’re packing is a smartphone, get ready for the best selfies ever! If you have room for lenses, you may want to bring a telephoto to capture wildlife in the distance, a wide lens for sweeping landscapes, and a macro lens for the variety of flora in the area. Throw in a rain cover and extra memory cards, as well, then check out these Top 7 Places to Take a Picture on the Bruce Peninsula. It’s important that you stay hydrated as you swim, hike, golf and otherwise explore your way around the Bruce Peninsula. However, we also owe it to our pristine environment to help keep it that way by reducing as much plastic water bottle waste as possible. The water here is potable unless otherwise marked, and you’ll find water bottle refilling stations in Tobermory, Lion's Head, and at the National Park Visitors Centre. And although the peninsula might seem at times desolate and isolated, you’re never more than a 30-minute drive from a village or store on the highway. 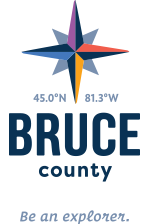 The Bruce Trails spans all the way from the Niagara Region to the tip of the Bruce, where you’ll find some of the best trails, vantage points and beaches around! The Bruce Peninsula offers 264 km of exceptional hiking trails, with options to suit hikers from beginners to advanced. You’ll find Explore the Bruce’s 10 Best Hikes of the Bruce Trail here, and can access the Bruce Trail from various points in each of our Bruce Peninsula Explorer self-guided tours. Running shoes with rubber soles are fine for easier trails, while you might appreciate the extra support of hiking shoes or boots on more difficult trails. Whatever you do, just don’t attempt the trails in flip-flops! Poison ivy thrives on these rocky trails and you don’t want to come in contact. Leave any stress, worries, anxiety or cynicism behind and open yourself up to the wonder and adventure of the Bruce. This little corner of the world is home to 43 delicate varieties of orchids, some of Ontario’s best beaches, 20 types of fern, old growth forest over 800 years old in places, and endangered species such as the Eastern Massasauga rattlesnake. Solid dolomite forms ‘flowerpots’ and dramatic rock ledges as the softer layers of shale and sandstone beneath it erodes. Even among the ecological diversity and vulnerability of this environment, adventurers are right at home. In fact, they tend to be most passionate about protecting the peninsula for years to come! Among the members of conservation groups such as the Bruce Peninsula Environment Group and Bruce Peninsula Biosphere Association, you’ll find avid hikers and birders, kiteboarders, paddlers and kayakers, stand-up paddleboarders, rock climbers and more. Each year, they’re joined by adventurers and outdoor enthusiasts from the world over, drawn to experience the wonder of the Bruce. You’ll find information about each section of the Bruce Trail you can access on one of our self-guided Bruce Peninsula Explorer tours, within the tour’s mobile accessible content. However, you’ll also want to carry a copy of the official Bruce Trail Reference Guide with you. Published in June 2017, the current edition is the commemorative 50th Anniversary guide and comes with a special new Bruce Trail field guide. It’s the definitive source for parking and access points, history, geology, flora and fauna, and hiking safety information. You can order online from the Bruce Trail Conservancy here. As in all wooded areas in the province, the Bruce Peninsula has a season for mosquitoes and black flies. Across North America, ticks are a growing concern, as well. Insect repellents with DEET or permethrin are preferred by some hikers, while others find them too toxic for regular use. You might like to try bug net hats or gloves if you’re going chemical-free. Wear light coloured, long sleeved shirts and long pants if you plan on spending time in heavily wooded or swampy areas. Check for ticks regularly, especially after traveling through long grass, brush, and damp areas. Use a sunscreen with a higher sun protection factor (SPF) than you think you may need, in case you get caught up in your adventures and forget to reapply on time. It’s important to choose a waterproof sunscreen that can stand up to whatever rain, sweat, and gorgeous Lake Huron swims. Don’t forget that when you’re visiting in winter, sunscreen is just as important. The glare off the glistening white snow as you cross-country ski or snowshoe blissed out Bruce Peninsula trails can still leave a burn! You’re going to work up quite the appetite with all this exploring. From farmgate picnics to fine dining, Bruce Peninsula offers fresh, affordable and most importantly delicious dining at every turn. Before heading out to enjoy the serenity of Lion’s Head and surrounding area, grab a perky cup of fair trade organic coffee from Rachel’s Bakery and Café. Walk, drive, ski or snowmobile to the traditional English pub, The Lion’s Head Inn, at the end of the day to savour their panko breaded Perch Feast. New to the neighbourhood, TruFood Cafe on Highway 6 just below Lindsay Road 5 specializes in homegrown, freshly prepared meals, baking and lunch specials for all manner of diets, including gluten free and paleo. The Applewood Inn at Dyer’s Bay is a local favourite serving fresh, local and organic dishes in an intimate dining room overlooking Georgian Bay. You’ll definitely want to call ahead and reserve your table. Check out these other dining recommendations on the Peninsula and use your Google Maps search to find restaurants, cafes and diners near you across the Bruce Peninsula. Spend your time here exploring the Bruce, and leave that empty space in your suitcase for taking a bit of the Bruce back home until your next visit! Rain or shine, you have endless opportunities to learn more about the fascinating history, First Nations culture, geology and delicate ecosystems of one of Southern Ontario’s last true wilderness regions. Purchase a self-guided tour from Bruce Peninsula Explorer and hit the road when the weather cooperates. You can also check out Explore the Bruce’s Rainy Day page for more inspiration. In years past, you were wise to travel north with enough cash to last the duration of your trip. But today, you’ll find that most retailers, dining establishments, markets and other businesses now take debit or credit. Thefts and similar crimes are incredibly low on the Bruce Peninsula. Even so, you should use the same cautions you do in any other location to protect your property and person. Lock the doors when you’re away from your vehicle, and avoid leaving electronics or other valuables in sight. Store any valuables in your vehicle overnight while camping, as well. Click here to see the results of a Google Maps search for ATMs and bank branches on the Bruce Peninsula. Please don’t feed the animals! It is illegal to feed wildlife inside the National Park. Both inside and outside of the park, feeding wild animals is dangerous--both for you and the animal. Once fed by humans, bears, raccoons and other wildlife are more likely to wander into campsites and inhabited areas, where they and everyone around them are at risk. Do not bring food for the animals. Be careful not to litter, and avoid leaving food scraps anywhere you picnic. While you’re hiking or camping, keep food items sealed and stored inside your vehicle, to reduce smells that local wildlife might find enticing. For more information, see the Bruce Peninsula National Park website. Get off the beaten path and go deeper. Plan to stay longer. See more of the Bruce Peninsula with each trip! The 2018 Explore the Bruce Passports are out now, and there are fantastic prizes to won as a result of your travels. Have the best experience possible with the added historic information, natural and environmental context, and insider activity recommendations in each Bruce Peninsula Explorer tour. They’re on sale now online and you can take the whole family exploring for days, for less than the cost of an IMAX ticket! Simply purchase access on your mobile device and you’ll have your own virtual tour guide, complete with GPS coordinates for stops on each tour, throughout your trip. Learn more and get started now at BrucePeninsulaExplorer.ca.